A great man once said, “Where words fail, music speaks.” That man was Hans Christian Andersen, beloved Danish poet and author of several books for children. To keep it modern, Bono – the lead singer of alt-rock band U2 – is quoted as saying, “Music can change the world because it can change people.” What these two influential artists have in common is the recognition that music is the one language we all speak, regardless of culture. Research has shown us that music is processed in a part of the brain that is separate from language and speech, which explains why some children can more easily absorb information and communicate better through music or song. When a child with special needs is having a hard time communicating, music therapy can offer them an outlet for their frustration, ability to knock down barriers and help them overcome their learning obstacles. Your child’s school or medical professionals might suggest music therapy as a way to boost cognitive function and conceptual understanding, or as a way to improve motor or behavioral skills. Using music, a therapist will help work with a child to achieve non-musical treatment goals using certain behaviors and repetition. In a special education setting, music is used as an educational stimulus to help a child with special needs work towards specific goals. Music therapy sessions have been credited with helping to reduce a child’s score on the Aggression/Hostility scale on Achenbach’s Teacher’s Report Form and have been shown to improve mood, educational performance, social skills and overall functional expression. Group sessions focusing on music therapy can help with self-expression while giving the child with special needs a creative outlet for their frustration and anxiety. 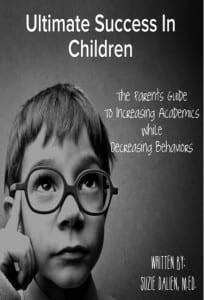 It can also increase school performance and focus as children are given a boost of confidence that leads to increased success, and decrease feelings of depression or despondency. Music is beneficial in a number of ways, such as soothing emotional or mental anguish, inspiring motivation, or the venting of frustrations and anger. For children with special needs, music is even more critically important to their well-being than the rest of us. 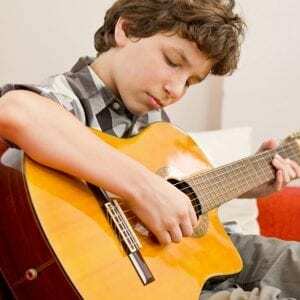 Here are some interesting elements of music therapy to consider when choosing therapy service for your child with special needs. • Music inspires motivation. When a child sees two objects being used to create a sound, it naturally inspires them to want to recreate that pleasing sound by mimicking the actions they’ve just seen. For children who have issues with fine motor skills, encouraging them to make the sound by using different instruments can increase they mobility while being fun and engaging. It can also help children who perhaps have trouble with the basics of communication. Holding out an instrument and asking if they would like to take it, or prompting them to ask for it, demonstrates to the child the appropriate actions in order to get what they want or need. Musical motivators can be used in so many different ways; find the way that works best for your child’s needs. • Both sides of our brain experience the benefits of music. Common knowledge suggests that people are either right-brained or left-brained, which means they’re either creative and spontaneous or most analytical and rational. But what’s often left out of this discussion is how music bridges the gap between our brain’s two hemispheres and appeals to the whole of our mind. When we experience music, almost all of our brain’s functions fire at once, helping us to be both creative and rational at the same time. This beautiful piece of mind science is a neurological dream come true, which helps to explain music’s soothingly therapeutic benefits. • Music is experienced by more than one sensory function. When we hold something in our hands and hit it against something else, there are many incredible processes happening at the same time. Your auditory system is hard at work letting you hear the sound of the two objects striking each other. Your tactile system is allowing you to feel the object in your hand, and experience the subtle vibrations from contact with the other surface. You visual system lets you see the movements and track them with your eyes, helping you to focus on the situation taking place and gauge the reaction of the two objects. These are just a few of the ways our bodies go into overdrive through music. Replace the object in one hand with a drum stick, and have it strike a drum. You’re now engaged in a multi-sensory experience that allows you to experience pleasure in an educational setting. It doesn’t matter that your child with special needs might need different accommodations that most; modifying the instrument or personal environment can help a child feel empowered through the most basic interactions. • You don’t need language to communicate. One of the incredible things about music therapy is it allows children to express their thoughts and desires through non-verbal actions. Some children lack the ability to perform adequate verbal expression, and often resort to banging or throwing to communicate their frustrations or wants. Replacing those angry moments with an adequate way to make music is a great way to calm the child while communicating in their own special way. If a child with special needs cannot work within the parameters of our language, we must find a way to learn the language of their world. 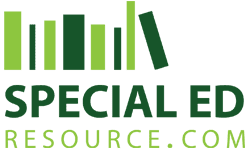 Special Education Resource wants you to have all of the resources necessary for both educational and lifelong success. It’s okay to be a little different from the rest – that’s what makes us all unique! There are many challenges to be faced when teaching a child with special needs, and we are here to help you make informed decisions regarding your child’s education and supplemental services. 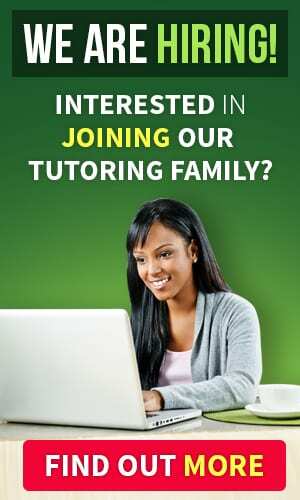 Our special education tutors have the experience and dedication to help your child meet their educational goals through one-on-one mentoring and structured learning sessions. This entry was posted on Thursday, November 13th, 2014 at 12:24 am and is filed under Special Education Therapy and tagged as . You can follow any responses to this entry through the RSS 2.0 feed. Music therapy offers children with special needs an outlet for their frustration, ability to knock down barriers and help them overcome their learning obstacles. There are many forms of therapy along with special education tutoring services available today for children with special needs. It’s important that parents understand all of them in order to make the best educated decision on what’s best for their child.